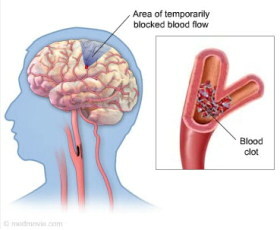 When one of the smaller blood vessels supplying oxygen to our brain gets blocked off, there is a temporary interruption of blood supply to part of our brain. It will lead to a "mini-stroke" or Transient Ischaemic Attack (TIA). This blockage is temporary (lasting a few minutes) and blood supply is restored soon after. This is unlike a stroke, in which the blockage lasts much longer. However, TIA is a crucial warning that a stroke is on the way. Strokes are the 3rd most common cause of death in Malaysia. It is estimated that without treatment, the likelihood is 1 in 10 that a stroke will occur within 1 month after a TIA. family history of diabetes of heart disease. Age. Increased in older people. Gender. Men and post-menopausal women have higher risk. Ethnicity. Higher for Indians and Malays as the incidence of diabetes and hypertension are higher in these groups. Medical history. Increased for people who have had a heart attack, stroke or TIA. Family history. Increased if close relative has had stroke or TIA. High blood pressure. Single most important risk factor. Hypertension leads to extra strain on the arteries, causing them to narrow or be easily blocked. Diet. Atherosclerosis (hardening of arteries) is more likely to develop with a diet high in saturated fats and excessive salt intake. Diabetes. Increases risk of atherosclerosis. Smoking. Doubles the likelihood of TIA because the chemicals in the cigarette smoke cause thickening of the arteries and increase the likelihood of clotting. thereby successfully reducing high blood pressure. 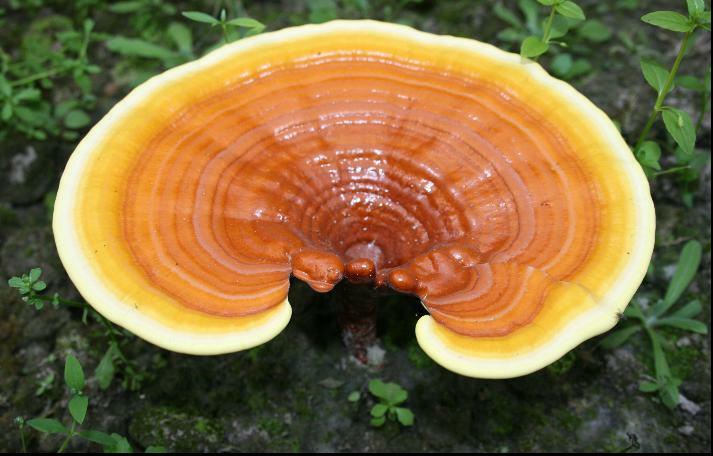 To read more, check out this article The Effects of Ganoderma (Lingzhi) on High Blood Pressure and High Cholesterol. thereby effectively preventing and treating diabetes problem. To read more, check out this article The Effects of Ganoderma (Lingzhi) on Diabetes. Or you can email me at laifuiping@gmail.com if you want to use Lingzhi as your solution. To purchase, click here to refer to Shuang Hor company website for Product Description and Price.